KENNEDY SPACE CENTER, Fla. — The planned Nov. 15 flight of the NG-10 mission to the International Space Station was delayed two days while NASA waited for powerful winds and rain to pass. The mission wasn’t the only thing held back by the storm however. Due to inclement weather, Administrator Bridenstine is unable to attend the European Service Module Arrival Event at Kennedy Space Center on November 16, 2018. 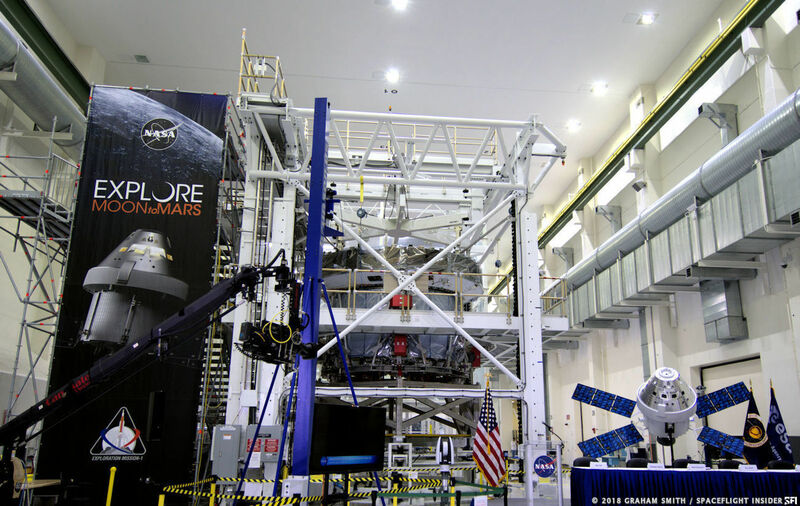 The Administrator regrets being unable to attend but views the European Service Module as a testament to the strong working relationship between NASA and the European Space Agency. He will be remotely available for a press conference with Jan Wörner and David Parker following the televised event. The event was held at KSC’s Operations and Checkout Facility where the spacecraft is being assembled. 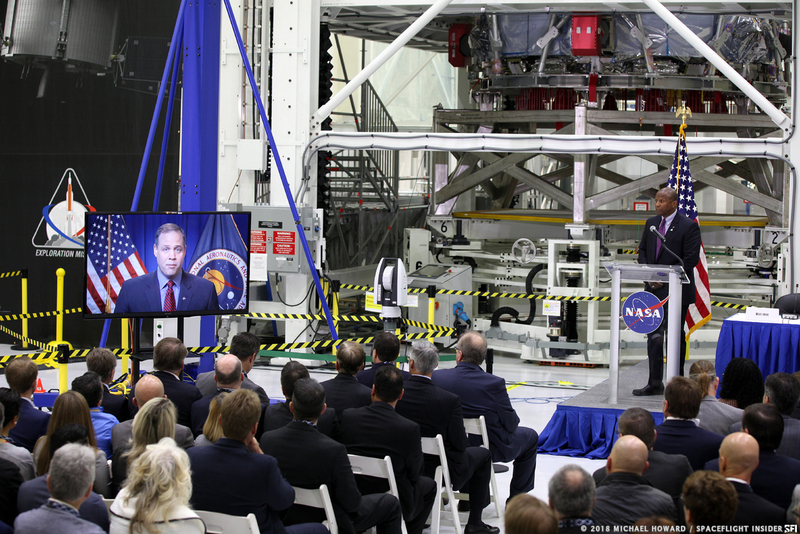 Kicking off at 9 a.m. EST (13:00 GMT), Bridenstine’s visit was meant to help highlight the international aspects of Exploration Mission 1 (EM-1) by visiting KSC shortly after Orion’s Service Module (which was produced by Airbus Defence and Space) for an estimated $345 million (€ 390). The spacecraft’s Service Module provides Orion’s power as well as the water and air for the astronauts on board. The Service module departed from Bremen Germany on Monday Nov. 5 (and arrived at Kennedy the next day). After it’s incorporated into Orion, it could help return NASA to the business of sending astronauts on deep space exploration missions. KSC’s Associate Director Kelvin Manning was able to be present and was joined by Bill Hill, deputy associate administrator for NASA’s Exploration Systems Development, Sue Motil, Orion European Service Module integration manager, Mark Kirasich, Orion Program manager, Phillippe Deloo, European Service Module program manager and Jan Wörner, ESA’s director general. With the Service Module now at Kennedy, engineers will begin the work of integrating it with Orion’s Command Module. Both will then be tested before being transported to Glenn Research Center to undergo vacuum tests. While the arrival of the Service Module is considered to be a step forward in the agency’s efforts to regain a capability it had lost in 1972, the mission it is a part of will not carry astronauts on board. It, and the other components for this particular Orion will be a part of Exploration Mission 1, an uncrewed test flight for the Space Launch System (SLS) rocket and Orion. Orion’s primary contractor is Lockheed Martin who was awarded the contractor to build Orion in 2006 for an estimated $3.9 billion.